Anyone watching CNN’s reporting of the Gaza war, particularly the reporting by CNN Senior International Correspondent Ben Wedeman, cannot help but be horrified by the suffering being borne by the local population and the level of destruction being wrought to Gaza’s civilian infrastructure. It seems as almost each civilian death in the Gaza fighting is analyzed in extensive detail, with the victims’ smiling faces from an earlier time contrasted with the rush of their broken bodies to hospitals or the crowds accompanying the shrouded corpses to their final place of rest. The images of the youngest victims are clearly the hardest. Even the most fair-minded observer of this reporting cannot help but be appalled at Israel’s conduct of the war, as opposed to, say, the “clean” wars conducted by the United States in Afghanistan and Iraq where only genuine “bad guys” were targeted and killed. But wait a second. “Clean” wars? The U.S. wars were not “clean” at all. We all remember the atrocities at Abu Ghraib, the internments without trial at Guantanamo Bay and the cold-blooded murder of Afghanistan and Iraqi civilians by rogue soldiers, things that have no parallel in the Gaza fighting. But what was missing was anything like the daily civilian casualty count that is now being reported from Gaza, leaving one with the false impression that civilian casualties from U.S.-led military operations were not really a factor in these wars. Even estimates of such casualties by reliable news organizations are hard to come by. And yet, while Gaza’s unique demographics features – like its badly overcrowded population –unquestionably increase the likelihood of civilian casualties and thus the magnitude of the story, we intuitively understand that civilian casualties must inevitably occur even in U.S.-led operations. And some data about the civilian casualties from U.S.-led operations can, indeed, be located, although it is sketchy at best. In the case of Iraq, in particular, the number of civilian deaths dwarfed those in Gaza. And there have been loud protests from both Pakistan and Yemen about the significant civilian casualties that have resulted from the U.S. drone operations against Al Qaeda. So how is it that the press, which is so focused on the civilian casualty story in Gaza, misses that same story when the U.S. is involved? The answer, I believe, reveals certain truths about the news media and its reporting techniques which any fair-minded observer should keep in mind when considering the reports being issued from Gaza. Why was there so little media reporting of civilian casualties in U.S wars? First, most journalists will not knowingly place themselves in situations of extreme danger and therefore will not imbed themselves with, say, the Taliban, if they know that the U.S. will be attacking them with overwhelming and broadly-targeted firepower, which of course is exactly what happened. There are legal limitations on the U.S. news media’s ability to become too closely involved with U.S. military targets, like the Taliban, Al Qaeda and enemy governments like that of Saddam Hussein. The U.S. news media also understands that its customers are not really interested in hearing favorable or sympathetic reports about adversaries; witness the firestorm of criticism directed at popular talk-show host, Bill Maher, when he dared to suggest that the 9/11 terrorists had exhibited personal “bravery”. But I believe there is an even bigger issue at stake: the news media understands that imbedding itself with militant and terrorist forces in order to report on their civilian casualties ultimately threatens the integrity of its own reporting. Why is this so? Because terrorist and militant regimes do not accord the same respect for impartial media coverage that we do in the west. For them, the western news media is simply a tool to be used to further their own propaganda. A reporter imbedded with a terrorist organization understands full well that any notion of “fair and balanced” or even “truthful” reporting must be abandoned and only the host’s version of the events can be presented – that is, if the reporter wishes to be able to continue reporting, and possibly to stay alive. And with a 24-hour news cycle that must constantly be fed, not surprisingly, the news media prefers to publish half-truths than not having what to publish at all. Watch Ben Wedeman’s reporting from Gaza, for example, and you will note that there is one thing that he will never report – a successful Israeli attack on a rocket installation or group of Hamas combatants. Hamas will simply not allow it, arguing that it may reveal the placement of its fighters and missiles, and if nothing else, might generate political support for Israel’s efforts. Indeed, one following his reporting could easily believe that Israel’s attacks hit nothing but civilians. And since he cannot report the presence of a nearby Hamas installation when a civilian site is hit, the conclusion one naturally reaches is that Israel must have targeted the civilian site or was simply reckless. For the same reason, Wedeman will never report of any opposition to Hamas’ military adventurism among the local population. Wedeman has thus become Hamas’ Iron Dome, running interference for all of its military and political setbacks. Of course, the fact that Wedeman is in Gaza at all speaks volumes about the question of whether Israel bombs civilians indiscriminately – if it did, it is hard to believe that he would have risked his life to cover the story. Wedeman’s presence underscores his awareness that Israel strives mightily to avoid civilian casualties, giving Wedeman and other reporters imbedded in Gaza some degree of security that they did not have, for example, covering the Taliban or Saddam Hussein’s forces against U.S.-led military operations. None of this suggests that Wedeman is anti-Israel or pro-Hamas in his personal political outlook. Nor is it a reflection of CNN’s politics. Their loyalty is simply to our unending appetites for fresh news. And if the only news that they can effectively provide from Gaza is that of civilian casualties – then that’s what they’ll report. Because in the media business, some news – no matter how flawed – is better than no news. This, of course, presents a respectable news organization, like CNN, with a quandary of journalistic ethics. They understand full well the severe limitations being imposed on Wedeman’s reports from Gaza, and to ensure their ability to continue reporting, they have had to make a pact with the Hamas devil. To provide “balance”, they therefore dispatched Wolf Blitzer, a former Jerusalem Post reporter with impeccable Israeli credentials, to report the Israeli side. But through no fault of Blitzer’s, that balance has not been achieved. All Blitzer and Israel can offer the world are images of missiles being launched from Gaza and, on occasion, being intercepted by Israel’s Iron Dome, images attesting more to Hamas’ futility than to anything else. And how can he present the restraint of Israel’s military in a way that is visually compelling to news consumers? With a military spokesperson who, like most spokespersons, is instinctively distrusted by most viewers? With reasoned arguments – like the few overall casualties relative to the number of Israeli bombing sorties, suggesting that the Israeli air force is either incompetent or acting with incredible self-restraint? Wedeman, on the other hand, can offer dead children, crushed homes and shrieking women. For a media built on graphic imagery, it’s simply no contest. It’s important to remember this when watching the news coverage from Gaza. The civilian casualties are horrible, and Israel should do all that it can to avoid them. The fact that so few civilians have been killed despite so many Israeli air strikes proves beyond doubt that Israel is doing just that. Just don’t expect to see that story covered on CNN. 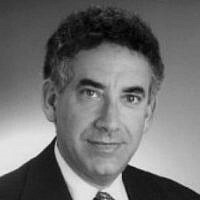 Yaacov M. Gross is an attorney living in Lawrence, New York.